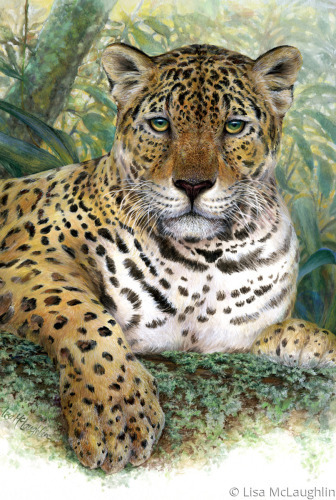 Jaguar proudly surveys the rainforest, emerald eyes look through you. Highly detailed original McLaughlin watercolor painting is available for purchase, please contact. 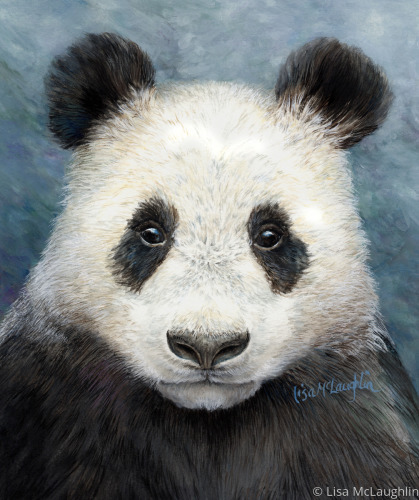 Giant Panda gazes right at you. 6" x 5"8.25" x 7"10.75" x 9"13" x 11"15.5" x 13"17" x 14.25"
The gentler side of this fierce creature. Soulful eyes. Original McLaughlin watercolor has been sold. Bright white, heavy-weight, acid-free, totally chlorine-free premium paper. This high-quality print captures the rich color and beauty of the original watercolor. 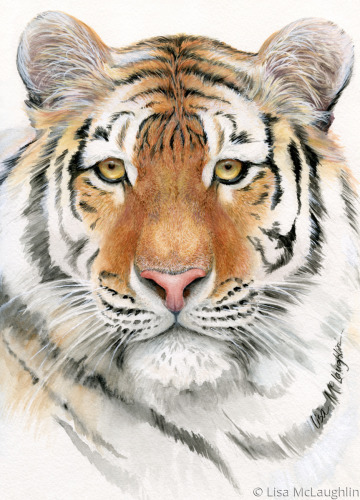 Siberian Tiger print, limited run of 1,100. 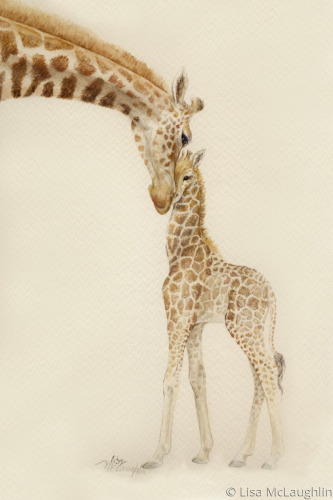 A tender moment as a mother Giraffe cares for her little one. Watercolors give this original painting it's softness. 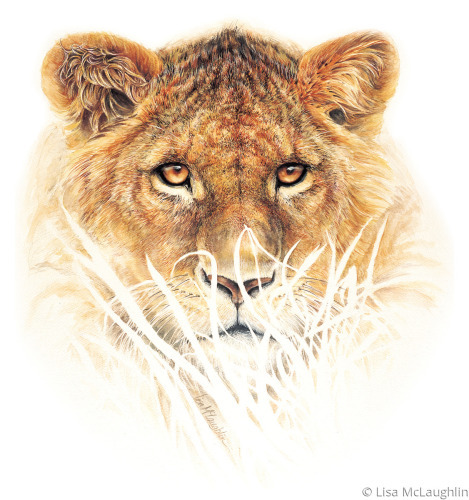 Young lioness in savanna grass, blazing eyes. Life-sized original watercolor painting required over 100 hours to complete. Lioness print, limited run of 1,100. White Rhinoceros, watercolor gesture study. Notice the two small oxpecker birds on his back. The original painting has been sold. 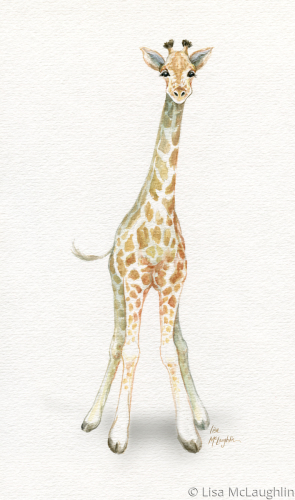 10" x 12"15" x 17.75"20" x 24"20" x 23.75"25" x 29.75"28.5" x 34"
Adorable baby giraffe, curious and friendly. 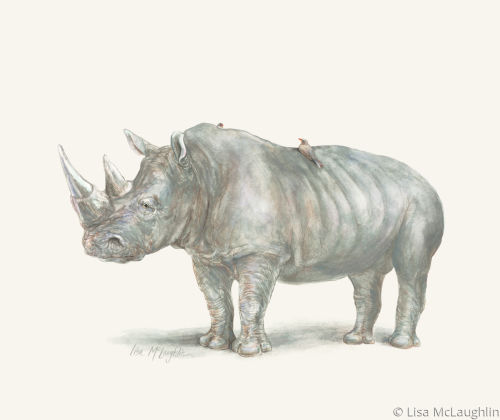 Whimsical original watercolor painting from wildlife artist Lisa McLaughlin. The unframed original is available for purchase. Please contact. 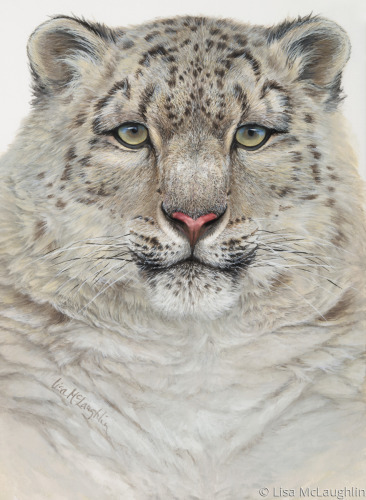 8.5" x 5"13.5" x 8"18.75" x 11"23.75" x 14"28.75" x 17"35" x 20.75"
Snow leopard stares right through you, Intense eyes. McLaughlin watercolor has been sold.